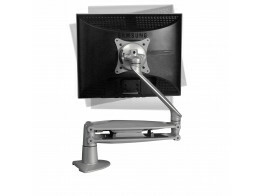 Find the latest market leading flat screen monitor arms for your office or home office use. The greatest advantage of using modern flat panel monitor arms means there is no more hassle in fitting or adjusting your flat screen monitors. 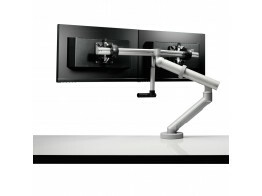 Monitor arms allow for easy mounting to the desk, monitors are easily fixed as well with unique and ingenious brackets allowing you to get to work quickly. 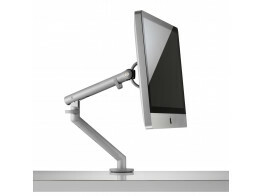 Finding the right ergonomic monitor arm be it a single monitor arm or a dual arm can save you space and time. Advancements in spring technology make modern monitor arms sustainable, meaning no gas is used in the arm and they can be easily maintained. 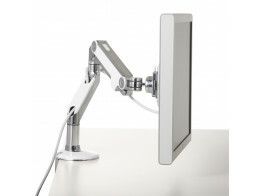 The M2 Arm is slimline, light and easier to move than traditional monitor arms, whilst being more durable. 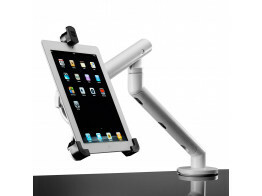 iPad tablet mount, with VESA holes, securely holds all generations of iPad on its extendable monitor arm. CBS Thin client mount CPU cradle accessory designed to securely house Thin and Zero Clients. 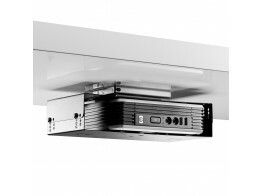 Lightweight, fully adjustable and easy to install, Wishbone Monitor Arms can support up to 12kg. 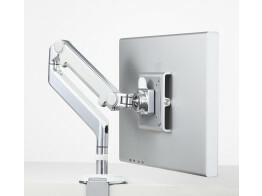 New Flo flat screen monitor arm with Flo spring technology for easy adjustment. Ergonomic Flo Plus dual monitor arms with handle for easy adjustment. M8 Articulating Monitor Arm can hold any flatscreen monitor up to a weight of 42 pounds. 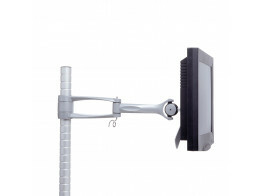 Gas lift Cygnus monitor arm supporting flat screen monitors of up to 10Kg. 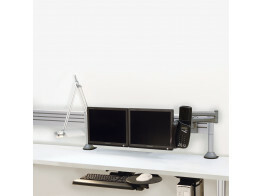 Access Rail is configurable rail system that adds space to any desk or workstation.